Elastin fibres are essential to skin's elasticity: they are the skin's springs. From age 40, the number of these elastin fibres is reduced, and their network fragments. The skin becomes less firm and less elastic, wrinkles become more apparent. 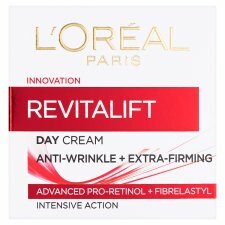 L'Oreal Revitalift Anti-Wrinkle + Firming Day cream for younger-looking skin. Intensive action moisturiser, enriched with Pro-Retinol A and Elasti-Flex, helps to improve skin firmness and ability to bounce back. Wrinkles appear visibly reduced, skin feels firmer, more bouncy and resilient. For daily use, massage in circular motions for optimum absorption. Elasti-flex, an exclusive technology, stimulates and reinforces the elastin support network. The formula improves skin firmness and bounce back. Pro-Retinol A, a powerful anti-wrinkle ingredient known to stimulate skin cell renewal. 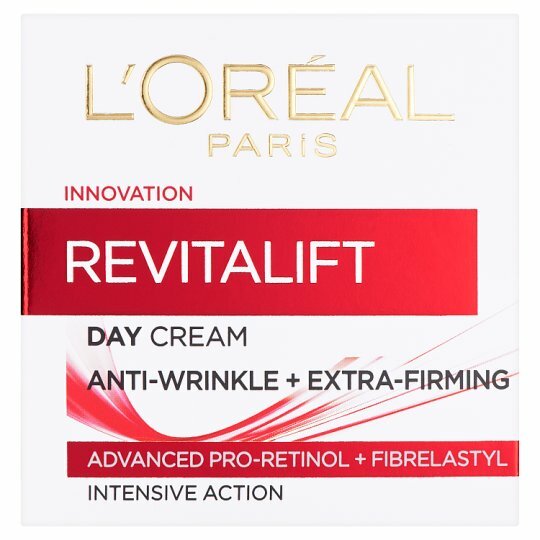 * Wrinkles appear reduced. Immediately: skin looks beautiful, feels smoother and more toned. Day after day: skin looks younger. 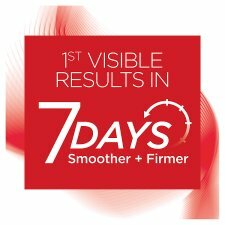 In 4 weeks: wrinkles appear visibly reduced. Skin feels firmer and more bouncy. Apply the cream every morning on a thoroughly cleansed face and neck. Apply in circular motions for a better absorption. Keep out of the reach of children. Avoid the eye area.